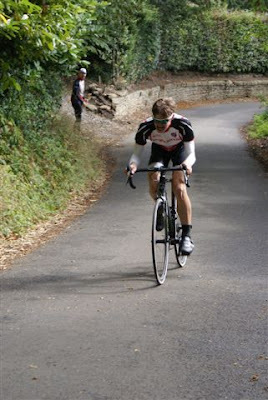 Patrick Clark narrowly missed out on setting a new club hill climb record, falling just 1.1 seconds short with a top class time of 2:29.2. In a reduced field due to racing commitments elsewhere, Adam Hogarth and Joe Tubby were worthy podium placings in the men's competition. Lizzy Lewis-Smith won the ladies hill climb with a time of 4:11.9, ahead of Lesley Bennett. Bob and Teresa Holywell established a new club hill climb tandem record with their time of 5:18.8.